The 31st annual Long Beach Unified School District Band Spectacular takes place 7 p.m. Tuesday, Nov. 17 at the Cabrillo High School stadium. 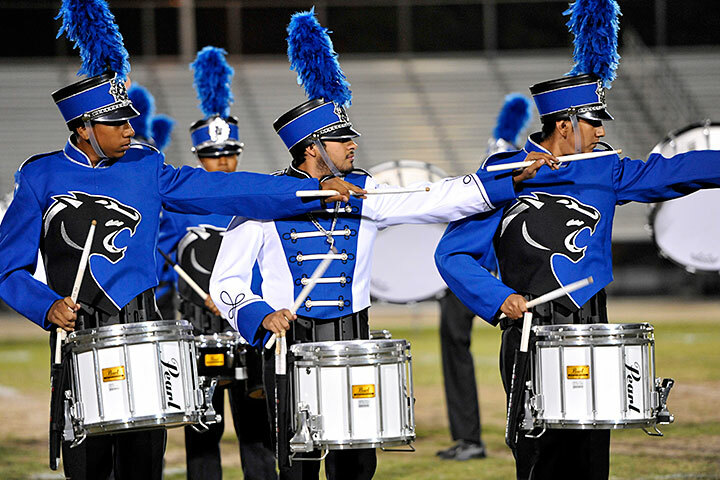 Marching bands from Cabrillo, Jordan, Lakewood, Millikan, Poly and Wilson high schools will present their half-time shows. Also performing throughout the evening will be the Long Beach City College Viking Jazz Band. SHOWTIME – The annual Band Spectacular, featuring local high school marching band half-time shows, is set for 7 p.m. Tuesday, Nov. 17 at Cabrillo High School. Here, students from Jordan High School perform at last year’s event. Tickets are $5.